The center of this compelling chronicle is Har Zion Temple on Philadelphia’s Main Line, which for the last seventy-five years has been one of the largest and most influential congregations in America. For thirty years Rabbi Gerald Wolpe has been its spiritual leader, a brilliant sermonizer of wide renown–but now he has announced his retirement. It is the start of a remarkable nationwide search process largely unknown to the lay world–and of much more. For at this dramatic moment Wolpe agrees to give extraordinary access to Fried, inviting him–and the reader—into the intense personal and professional life of the clergy and the complex behind-the-scenes life of a major Conservative congregation. We also have a front-row seat at the usually clandestine process of choosing a new rabbi, as what was expected to be a simple one-year search for Rabbi Wolpe’s successor extends to two years and then three. 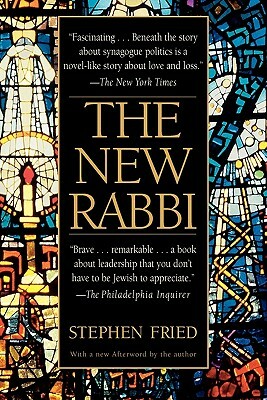 Dozens of résumés are rejected, a parade of prospects come to interview, the chosen successor changes his mind at the last minute, and a confrontation erupts between the synagogue and the New York–based Conservative rabbis’ “union” that governs the process. As the time comes for Wolpe to depart, a venerated house of worship is being torn apart. And thrust onto the pulpit is Wolpe’s young assistant, Rabbi Jacob Herber, in his first job out of rabbinical school, facing the nearly impossible situation of taking over despite being technically ineligible for the position–and finding himself on trial with the congregation and at odds with his mentor.